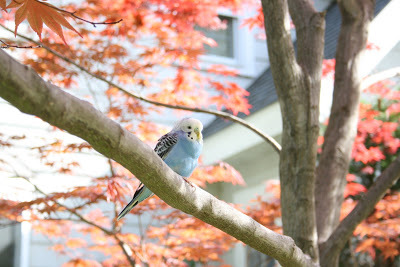 This morning as we were heading off for preschool, we saw a little parakeet flying around in our background. What a surprise! He obviously had no idea what was going on or really where to go. He seemed very confused to the outside world. So I asked a few of my neighbors if they were missing a pet bird. I found no takers. Poor little guy. When we came back from school, he was gone. I hope he found some food. The post Good Morning Surprise appeared first on Darling Darleen | A Lifestyle Design Blog .